A model showing graphene’s chicken wire structure. What started with a few experiments with Scotch tape and a pencil could some day become the next materials revolution as important as the silicon chip or even plastic. In 2004, Konstantin Novoselov was a post-doctorate researcher studying conductivity in the lab run by Andre Geim at the University of Manchester. Creating graphene started as one of their after-hours projects they were doing for fun. Geim and Novoselov were trying to creating a substance that was only one atom thick. They spent a while trying to make the thinnest possible slice of graphite, to see if it would work. Over the next few weeks they made several attempts. At about the same time the lab had received an electron microscope that they could use to see atomic structures. Geim and Novoselov wanted a good structures to look at, and graphite came up as an obvious choice. They discovered that the best way to prepare a smooth surface on the graphite was to take a piece of Scotch tape and use it to peel away any dust or residue. They were throwing away the tape, but then at some point it was suggested that they should take a look at the residue on the tape and see if it would work as a transistor. On the first attempt they were nearly successful and over many months they improved the conductivity of the graphite by making it thinner and thinner. Eventually they were able to produce the two-dimensional material with its characteristic chicken-wire structure. 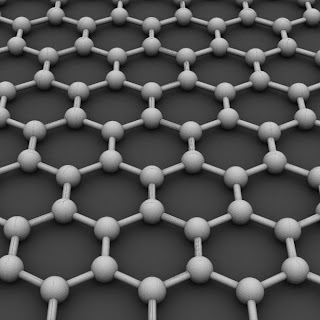 The uniquely symmetrical arrangement of electrons enhanced conductivity and strength, and they announced graphene’s properties in 2004. Almost immediately there was a flood of talk of what this material could be used for, creating everything from super-strong aircraft to paper-thin, foldable touch screens. Graphene could replace glass since it is perfectly transparent. Graphene could also be layered with plastic, revolutionizing nanotechnology. 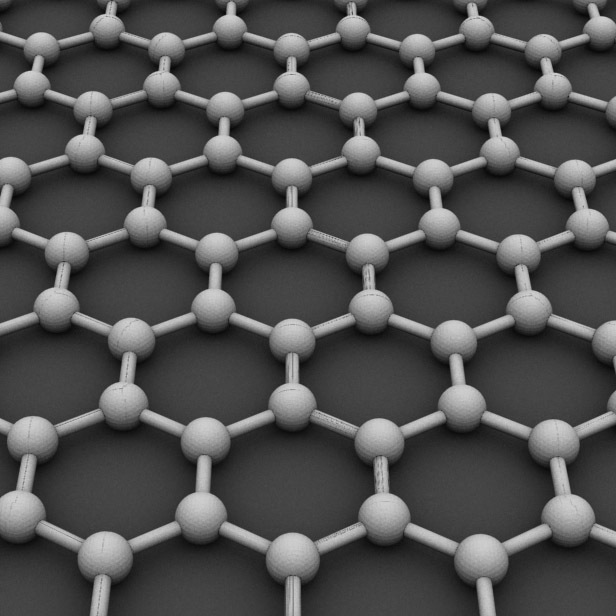 Integrating graphene into existing technology will take years. Geim and Novoselov are trying to show how graphene can be used as a conductor instead of silicon as the main material in electronic circuitry, but it may take decades before the technology becomes commercially viable. Graphene will most certainly be used in the creation of lighter, stronger, more flexible materials that will find uses in prosthetics, aerospace design, and mobile phone technology. The possibilities are endless.